Who doesn't love a one year photo session? I can hardly believe Quinn is already one year old! It seems like just a few short months ago she was here for her newborn photography session. Look at how big she has grown! Baby Quinn is so adorable! She was running all over and definitely made us work for it, but she gave lots of smiles while making momma run after her! I thoroughly enjoyed taking her pictures and most importantly, she had fun as well! I am loving the simplicity and elegance of these studio outfits. Look at how much she has grown in one year! Who doesn't love to reminisce? Because here are some images from Quinn's newborn session. I was so thrilled when mom said she wanted her baby girl posed in blue, I have to say it really went well with her skin tone! She slept so peacefully for most of her newborn session. I always love it when babies wake up because I am able to snap a few images of those gorgeous eyes! 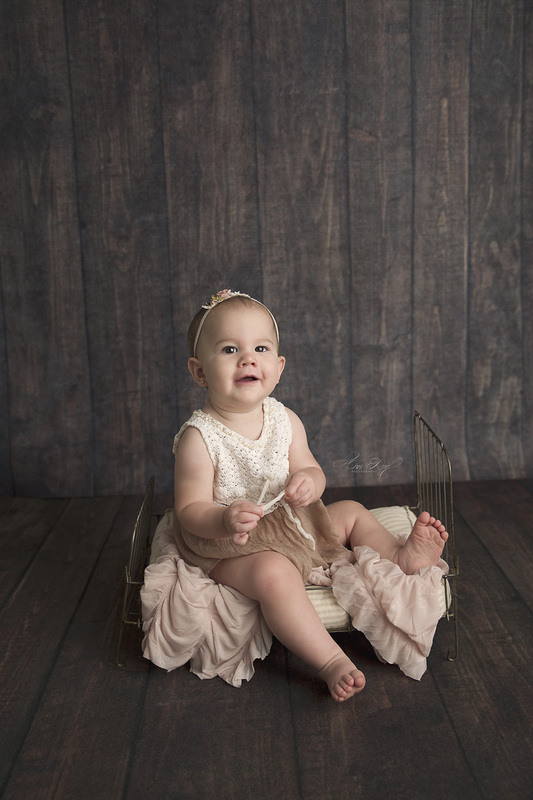 Quinn you are growing so fast and have quite the spunky little personality and I can not wait until I get to see you and your family again for the next session! "I can’t thank Ann Rae Photography enough. She is so calm and patient with my children. She does high quality work, and is a pleasure to work with. I would highly recommend her!" If you like what you see and are interested in booking a session with Ann Rae Photography please call 314-368-8919 to set up your complimentary consult!